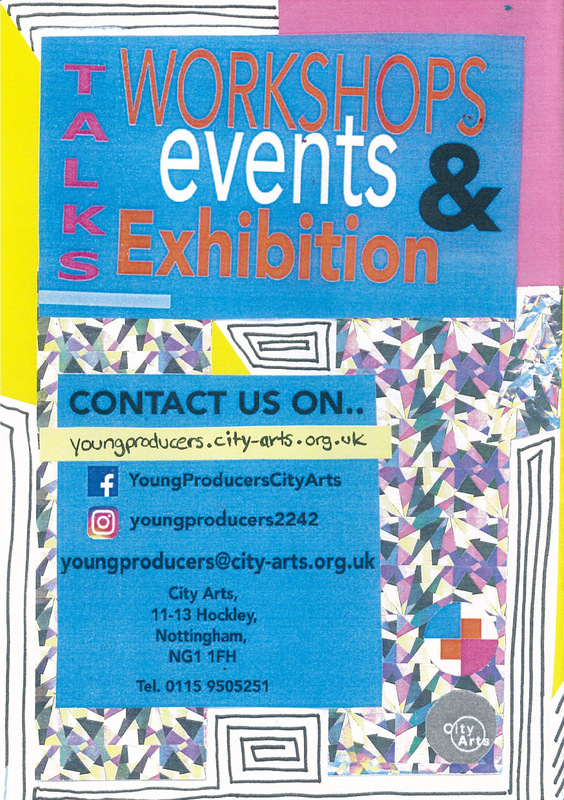 Learn how to make a zine with the Young Producers at City Arts! Flip through and download our pre-made zine, or create your own following Alma Solarte-Tobón's step-by-step guide. 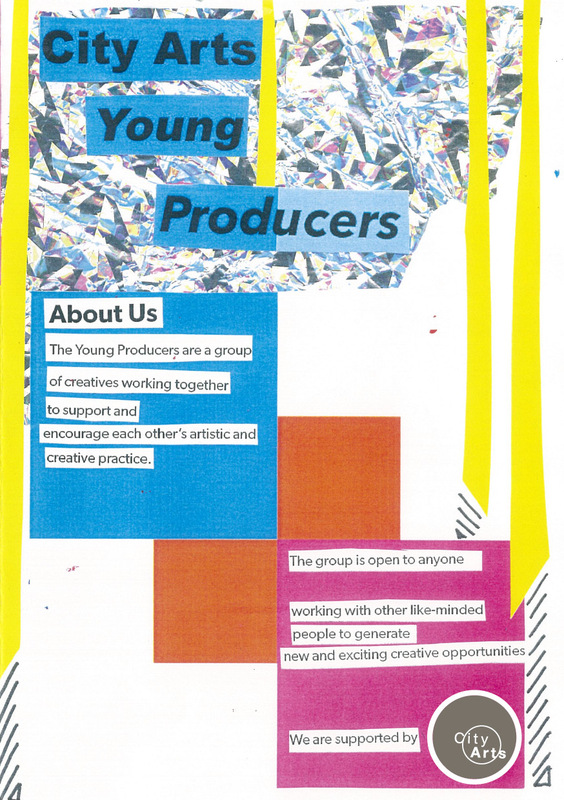 The Young Producers are a group of creatives, aged 18-30, who work together to support and encourage each other’s artistic and creative practice. 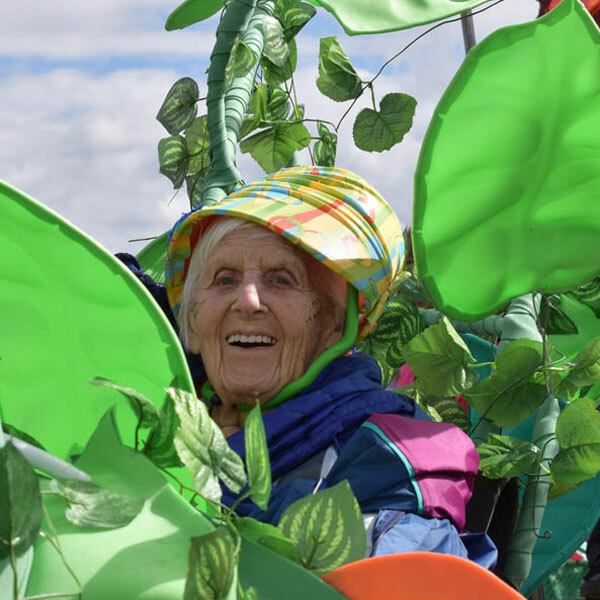 Since 2015, they have come together to generate new and exciting creative opportunities, including workshops, exhibitions and international exchanges. 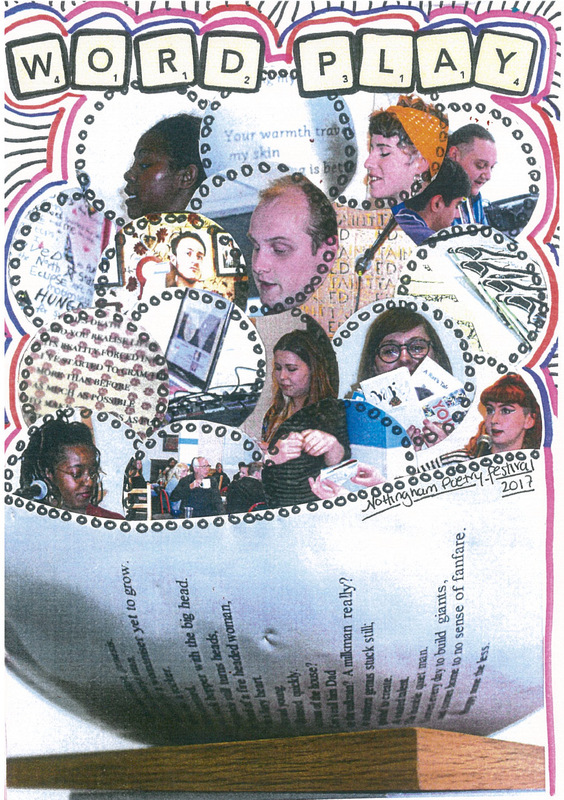 For their mini-festival WORD PLAY, part of the Nottingham Poetry Festival in April 2017, the group ran a zine making workshop for the public. 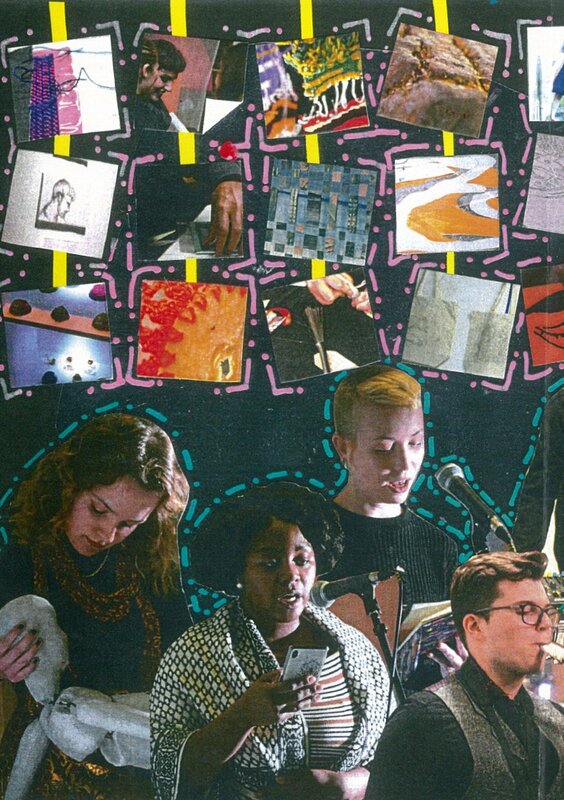 For this 'treat' we have created a special zine higlighting some of the Young Producers' achivements over the the past few years. Flip through it, download it and turn it into a zine using the instructions below, or create your own zine and show us the results. Follow these easy step-by-step instructions to create your own publication. All you will need is: A3 paper, scissors, and anything you'd like to decorate/create content for your zine (collage materials, pens, paint, glue etc.). 1. Fold you paper in half, then in half again. 2. Fold it in half another time. 3. Unfold and mark your layout with pencil. 4. Cut along the middle, up to the halfway point, so there is a slit in the middle when you open it. 5. 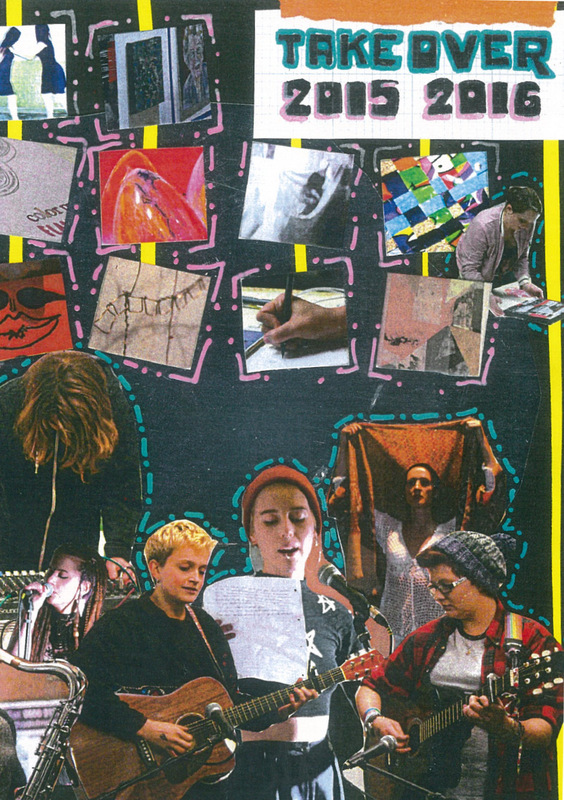 At this point you can create content for your zine using the materials you have chosen. 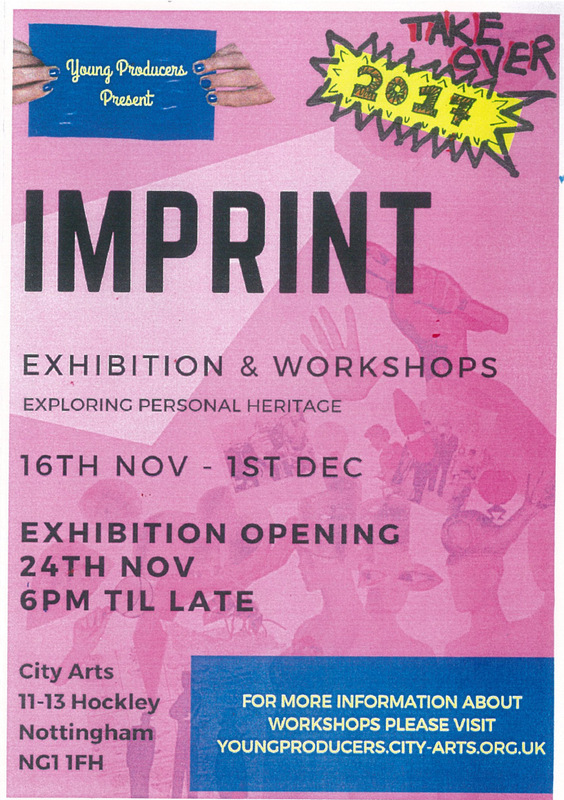 Once you have finshed designing your zine you can make photocopies to make more publications. 6. To finish creating the folds, fold your zine in half with the slit at the top. 7. Now the tricky bit! Start popping the pages out gently, making sure you use your folds as a guide. 8. 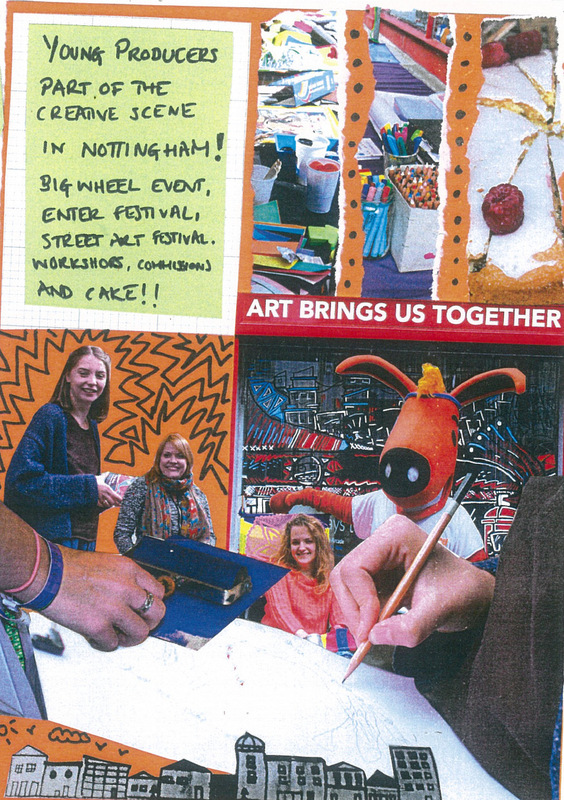 Once the pages have popped out, gently push the zine together so it folds into an 'x' shape. 9. Arrange your pages so that the front and back covers are in the appropriate place. 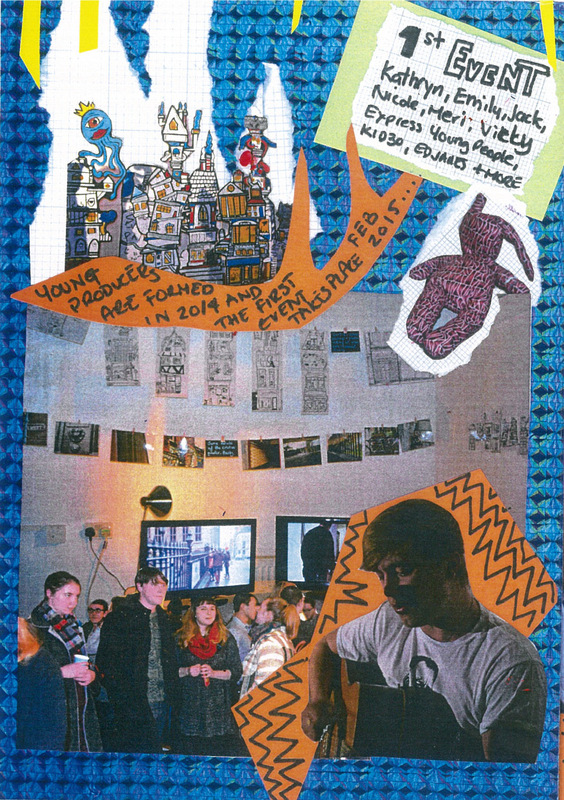 Here are some examples of zines that people have created in the Young Producers' workshops.